Left feeling more alone than ever in the wake of The Titans being dissolved by The Justice League, the original Wally West seeks companionship among his uncle Barry and cousin Wally. When that only serves to make things worse, since Wally is still reluctant to approach his Aunt Iris (who still doesn't remember him and is already coping with enough), Wally looks up his childhood friend and former girlfriend Frankie Kane to see if she still remembers him. The good news is she does exist and she still remembers him. The bad news is so does her evil super-villain persona Magenta! I loved Geoff Johns' run on The Flash and I've recently starting reading through the classic Wolfman/Perez run Teen Titans. 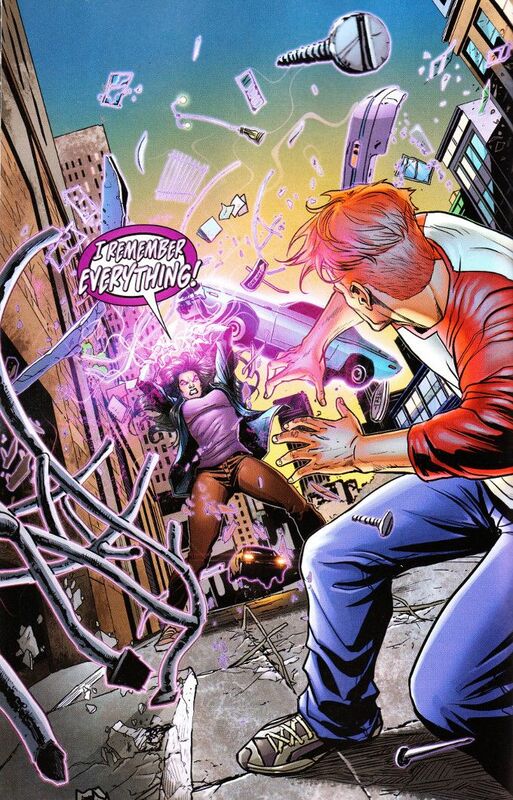 While I've yet to read the original Magenta stories, I find the character interesting and it's a real treat to see her restored to the DC Universe here, even ignoring Wally's need for friends now given his current predicament. Joshua Williamson puts a lot of heart into every story he writes and this one is a prime example of how he can tug o the heart-strings even while setting up a major crossover event. The artwork is equally excellent. Both Howard Porter and Christian Duce are fine artists and you can barely tell when the story switches between their respective sections here. Hi-Fi also deserves praise for some fantastic, eye-catching color work. The Final Analysis: 10 out of 10. A great entry point for The Flash and a great opening for Flash War.